After debuting an updated seamless video wall about a week ago, it turns out “ABC World News Tonight” had something even bigger up its sleeve. The broadcast debuted a larger, curved seamless video wall Tuesday, July 17, 2018, behind anchor David Muir after about a week using what turned out to be a temporary video wall that was smaller, flat and pushed slightly forward. The last iteration of the video wall, on the other hand, is more in keeping with the previously wall’s shape that dated back to when Diane Sawyer anchored the broadcast. Given the forward placement of the temporary video wall and the relatively quick install time, it’s likely that video wall were more portable and modular and were either rented or are slated for another use with ABC. These panels were apparently placed in front of the space occupied by the curved video wall to hide its installation. 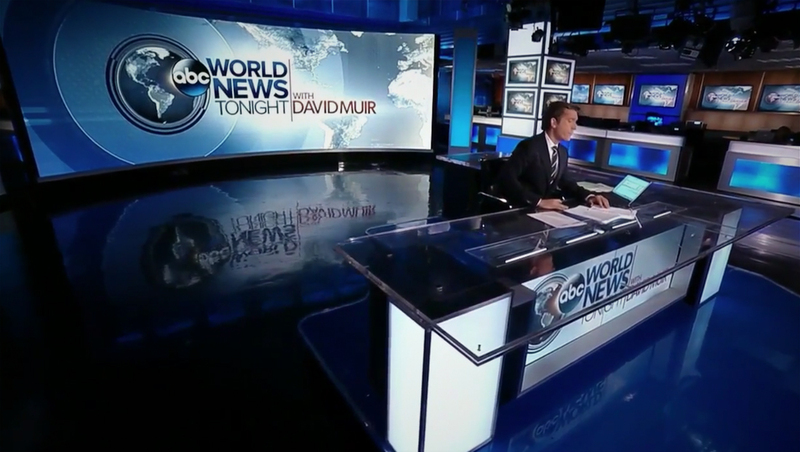 ABC and Disney’s New York studios and offices, including “World News Tonight” and “World News Now,” which share the same set, are slated to move in approximately five years. Earlier this month, Disney announced plans to move most of its Manhattan operations to 4 Hudson Square, after it sold its current buildings in April. 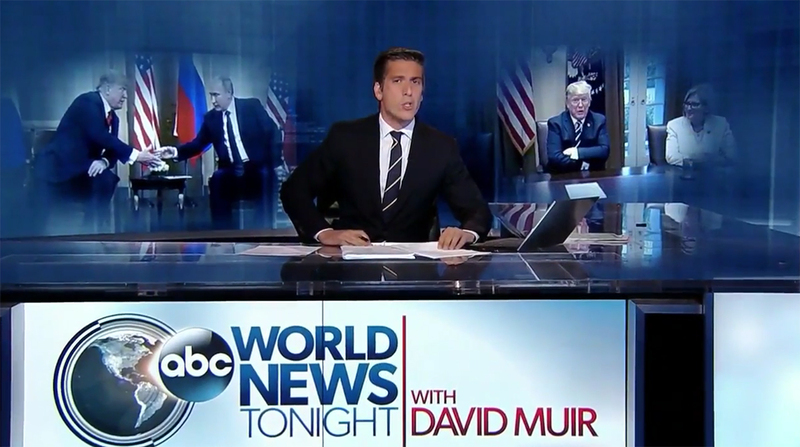 “World News Now, ” which uses the same anchor desk as Muir but typically shots it from the side, does use the video wall as well — but as of Tuesday morning’s broadcast the old, flat version was still in place — saving the big debut for the network’s signature newscast.